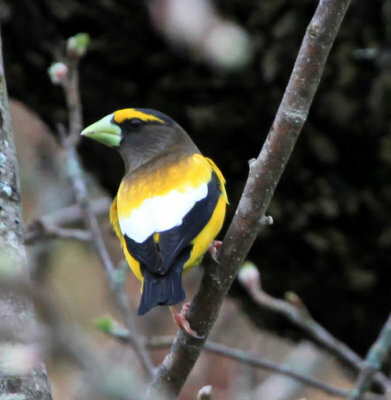 Donna Hollinger | all galleries >> Galleries >> Birds at Eccohouse > Mr.Evening Grosbeak! What a beautiful color beak he has! Beautiful. That is one "gros" beak!